Through February, Port Houston terminals handled 6.1 million tons of cargo, which Guenther called an encouraging start for this year. 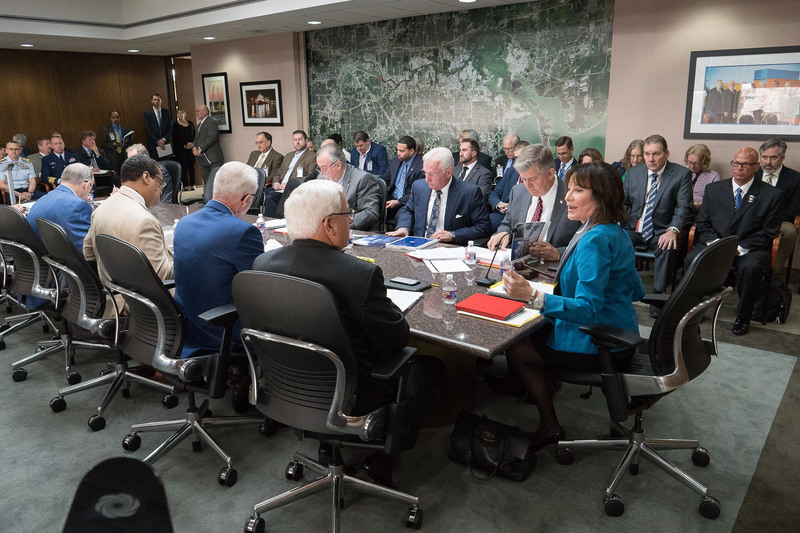 “We are off and running, a quarter of the way through another busy year, and port facilities are seeing tremendous activity and delivering solid results,” Guenther told attendees at the meeting. Those results include a noteworthy uptick in steel imports, which were up 17 percent in January and February. Although steel tariffs went into effect in mid-March, exemptions have been granted for many countries that import steel, and steel volumes at Port Houston continue to look strong. Container activity is up nearly 1 percent for the first two months, despite being compared to 2017, a year where substantial container volume increases were recorded. While container exports have been less than expected so far, the increased production of resins resulting from the expansion of facilities along the Houston Ship Channel is beginning to materialize and an upward trend is anticipated for the remainder of the year. Port Houston in 2017 was the fastest-growing of the top 10 container ports in the United States, based on PIERS data.